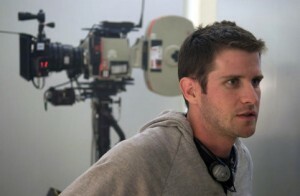 Richard Kelly and Robert Rodriguez Team Up For ‘Corpus Christi’!!! ‘Donnie Darko’ director Richard Kelly is prepping his new indie film with director Robert Rodriguez (Sin City/Machete/Spy Kids) and is to be titled ‘Corpus Christi’ with Richard Kelly directing and Austin, TX. native Rodriguez in a producing role. Kelly and Rodriguez have cast Edgar Ramirez to star in ‘Corpus Christi’. 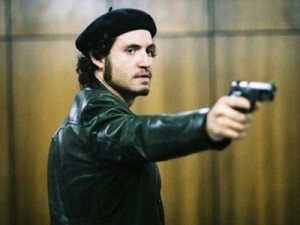 Edgar was seen in ‘Carlos’ as of recently which was one of the better mini series of the last few years. Kelly’s production company ‘A Darko Entertainment’ will put out the film and will be a thriller set in the near future and will follow Paciencia De La Rosa (Ramirez) who is an Iraqi war vet with severe shell shock who forms a treacherous friendship with a wealthy man in Texas. Eli Roth (director of the Hostel films) will also produce the film. Shooting is set to start in Austin and Corpus Christi in July according to Variety. “I started Quick Draw with the idea that it would be a home for innovative filmmakers who would be given the chance to take chances and surprise audiences. I think that a movie like ‘Corpus Christi’ could only be done justice by doing it independently,” said Rodriguez. This sounds amazing. Kelly’s recent films have sort of not been the big office draw everyone has been hoping for in the past, but I think this one will change that. The Death Wish Remake has a trailer! Pick Up Your Copy of ‘Gold’ This April!!!! This entry was posted on Monday, March 12th, 2012 at 3:48 pm	and is filed under Film, News. You can follow any responses to this entry through the RSS 2.0 feed. You can skip to the end and leave a response. Pinging is currently not allowed. « ‘Garbage Pail Kids’ Film Officially in Production!! !